Ping Post: The process of delivering lead data to your Buyer in expectation of a response that will determine whether additional information is sent or not. 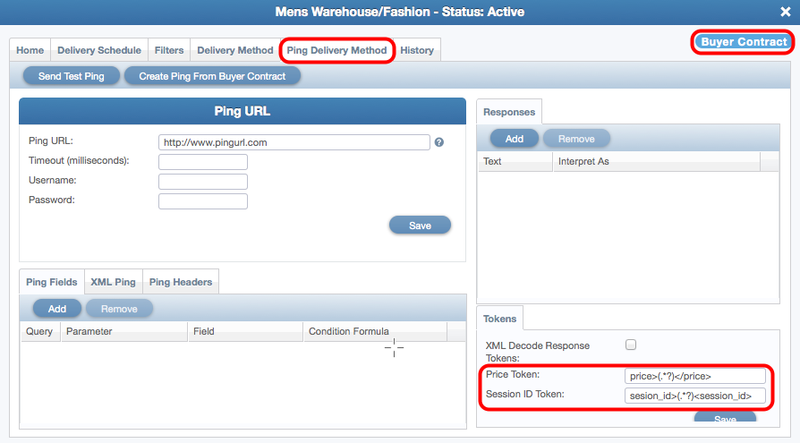 The Ping Post can also be used when determining the Buyer’s price for a lead that will trigger a post priority. Cake has the ability to either Ping a list of Buyers one at a time or the ability to Ping a list of Buyers all at the same time. Ping: The process of Pinging a list of Buyer Contracts one at a time based on a priority of price of a predetermined priority. Asynchronous Ping: The process of Pinging a list of Buyer Contracts at the same time for the purpose of determining a sale priority. The set up process of a Ping Post is very similar to the set up process for a regular Post as it accepts either a Post, a Get or XML. The first step remains the same; place the Post URL that the Buyer has provided. The Post URL should be a different URL than the URL used in the Delivery Method Tab. Post fields are set up in the same way we set them up for a regular Post. Responses are also set up in the same way we set them up for a regular Post. Cake can receive the Price Token and a new Token; Session ID. Price Token: The Price Token functions differently on the Ping. It is used to receive the price the Buyer intends to pay for the lead. Ultimately, the Buyer could pay a different price if the Price Token is also being used on the Post. 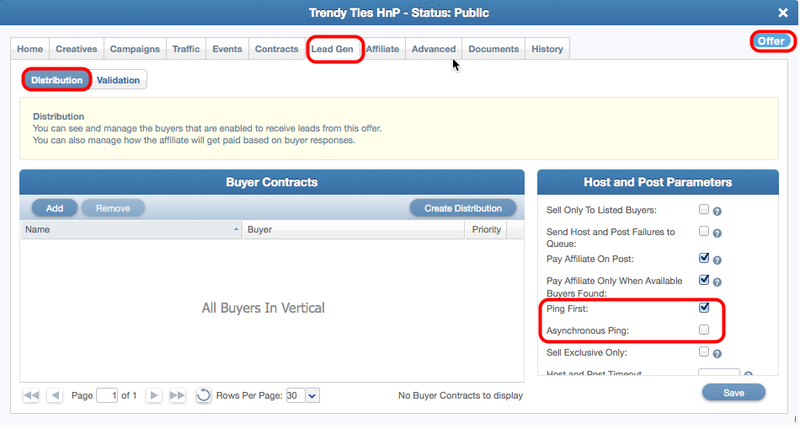 The Price Token is most commonly used to create a sale priority between multiple Buyer Contracts bidding on the same lead. Session ID Token: The Session ID Token will be used to receive a unique value sent from the Buyer in the response on a Ping. 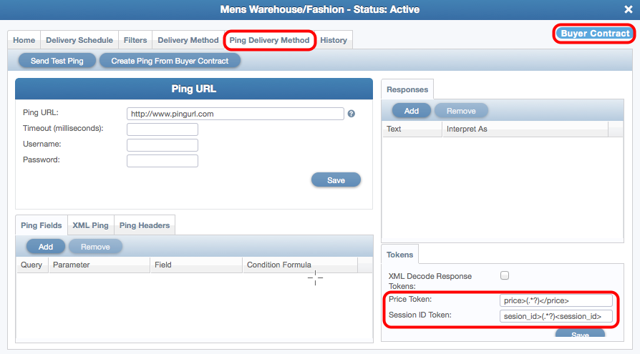 The Session ID will then be sent back to the Buyer on the Post so the Buyer can associate the lead data from the Ping to the lead data on the Post. Note: Ping and Post Responses must be mapped in order for Tokens to be captured.